I would like to enquire about the property at Montego Bay, St. James MLS-32240. Investment Opportunity. Two story house with basement divided into 4 separate homes. All units are rented. Each wired w/ independent electric meters & backup water tanks, tenants want to stay. Over 7,000 sq'. Total of 10 bedrooms & 7 bathrooms. The picturesque top floor 4 bedroom 3 bathroom has breathtaking views of the Bay area, watch the cruise ships come into port. Perfect as a large family home or keep as a rental. The lower floor consists of a 3 bedroom 2 bathroom home, and a 2 bedroom 1 bathroom home, perfect as income generating units. The basement is a finished studio/efficiency with 1 bedroom 1 bathroom, use as staff quarters or rental. Centrally located near transportation and shopping. 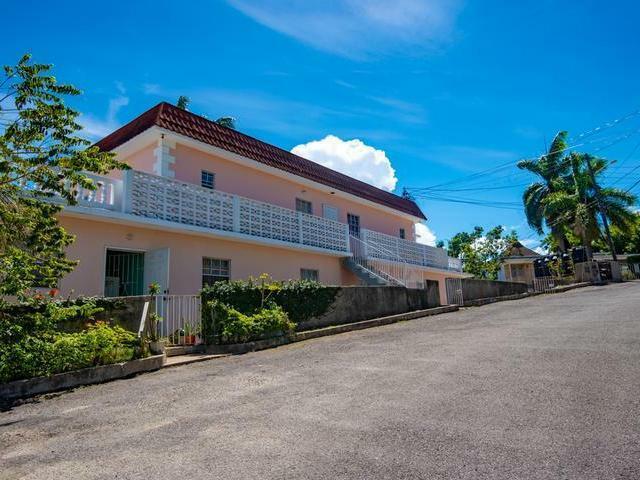 Only 10 minutes from Sangster International airport, beaches and major attractions. Appliances do not convey.